You might want to update the date and time for the extension so people know it has been updated. 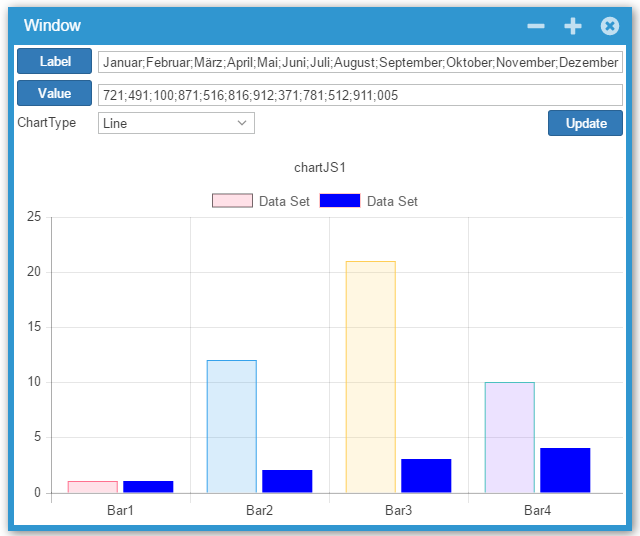 ChartJS uses the first color of the BackgroundColor array set in the DataSet. See screenshot below (seems to work only at runtime). We have also updated the ChartJS extension to support BorderColor, BorderWidth, HoverBackgroundColor and to use a single color for all the data points when the array only contains 1 color. You can download the updated extension in the downloads/extensions page.